comment Go behind-the-camera for a revealing look at how the magic is made. 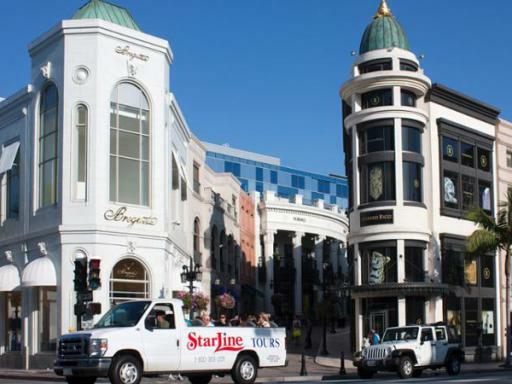 Cruise along Sunset Strip and drive through world-famous Rodeo Drive. A full day of Hollywood fun! 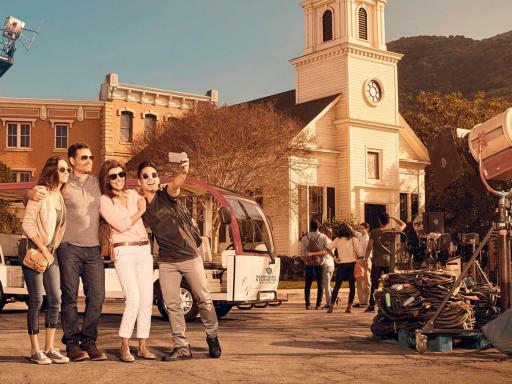 Go behind the scenes and on to the sets of your favourite TV shows & movies at the Warner Bros. Motion Picture and Television Studio on this exclusive 4-hour tour of the back lot streets and sound stages. Afterwards, see over 40 celebrity homes on a fully narrated tour through Los Angeles and Beverly Hills. 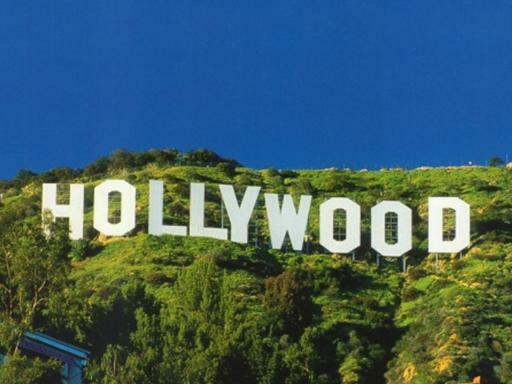 Combine a visit behind the scenes of your favourite shows at the the world's busiest motion picture and television studio with Hollywood's most popular Movie Stars Homes Tour for a full day of Hollywood fun. 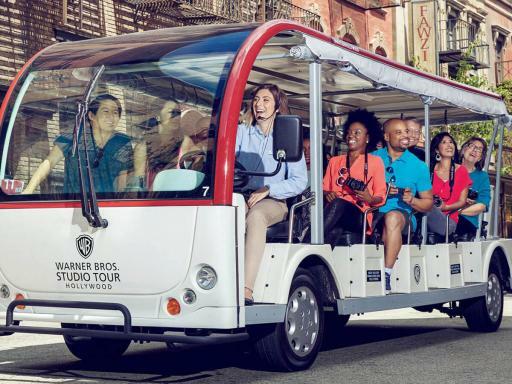 The Warner Bros. VIP Studios Tour is an intimate, small group tour where your knowledgeable tour guide will take you behind the scenes of the legendary 110-acre backlot where classic movies and TV shows like Casablanca, Batman and Friends came to life. With actual filming happening all around you, no two tours are ever alike. Get ready to explore the authentic sets and soundstages where hit shows like Ellen and The Big Bang Theory are currently filmed (depending on availability). And there is also a chance to sit on the couch from hit TV show ‘Friends’ as you visit a recreated set of ‘Central Perk'. 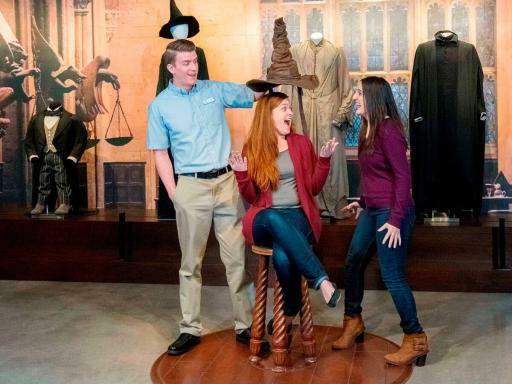 Browse a rare collection of costumes, props, sets, scripts and correspondence in the Warner Bros. Museum, Hollywood’s only studio museum and see Stage 16 - the tallest sound stage in North America. 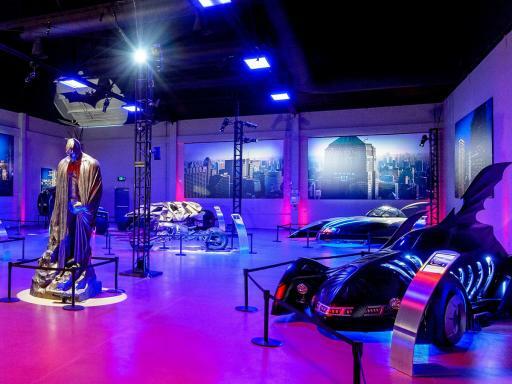 You can even take a photo placing you into your favourite WB movie with the magic of Green Screen and see the real vehicles from the world of TV and movies at the Transportation Museum. With actual filming and production all around, no two tours are alike and the possibilities are endless! And always, always be on the lookout for a star! Afterwards, see where the stars live, work and shop on a two hour tour of more than 40 Beverly Hills Movie Stars’ Homes. You may pass the former estates of legends such as Michael Jackson, Jonas Brothers, Jackie Chan, Ozzy Osborne, Richard Gere, Steve Martin, Madonna, Frank Sinatra, Lucille Ball, Elvis Presley, as well as some of your favorite TV and movie locations. On the way, you'll cruise the Sunset Strip and see infamous locales as The Whiskey A Go Go, Johnny Depp's notorious Viper Room, The House of Blues, the trendy Sky Bar, The Chateau Marmont, and The Beverly Hills Hotel. You will be driven through the world famous Rodeo Drive to see where the rich and famous shop, including Bijan, Gucci, Prada, Harry Winston Jewelers, and the Beverly Wilshire Hotel featured in "Pretty Woman"
Celebrities are constantly moving in and out of the neighbourhood, so bring your camera... you never know who you might see! Departure Location: Tour picks up from centrally located Anaheim hotels. Start Times: 9:00am. Hotel pick-ups commence 60 minutes before that. Hotel pick-ups are only available from centrally located hotels in Anaheim. Picture ID is required for admittance into Warner Bros. Studios. Children under 8 years are not permitted on this tour. If we are not picked up from our hotel, where do tours start from? 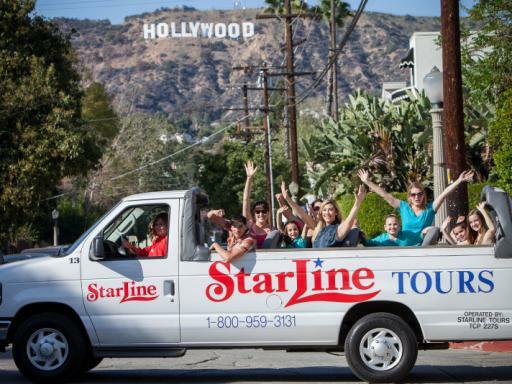 Tours begin from the Starline Anaheim Resort Terminal: 2232 South Harbor Blvd., Anaheim, CA 92802.